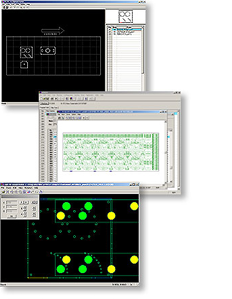 AMNEST is AMADA’s time-proven Semi-Automated Machine Programming software designed for Automation. AmNEST can run with machine code or straight off DXF geometry files, making it an extremely flexible nesting solution. This system can drive the full range of AMADA's punch presses, laser machines, and combo cutting machines. AmNEST makes user modification of parts easy, giving experts more control in Part Placement and Tool Priority.